Soaring slowly over the alluvial golden hills punctuated by mature oak trees and orderly rows of grapevines in a hot air balloon can be a transcendent, once in a lifetime experience. This is just one of the many offerings stay in the bucolic wine country in northern San Luis Obispo County. Every month has its unique activities, so determining travel dates warrant consideration of when the weather and activities meet the needs of the types of travelers: families, couples, friends or singles. 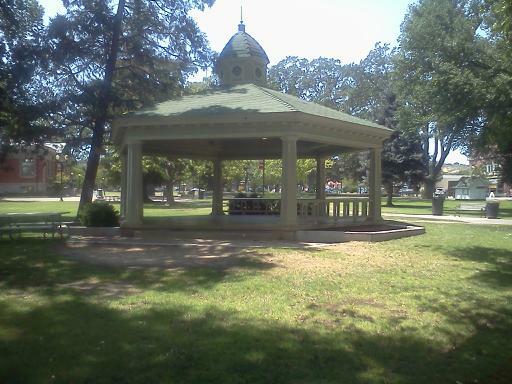 If arriving on Friday, head for the Paso Robles City Park for the weekly 2013 summer concert series which occurs through August 26, starting at 5:30. Watch the concert from one of the restaurants that have outdoor seating just across from the park: Reservations can be made for patio seating just across from the park at Berry Hill Bistro, Estrella, La Cosecha, or Chico’s or take a chance without a reservation at Artisan or Villa Creek. Food and beverages are also sold at the concert. Bring a sweater or jacket as it sometimes quickly cools down in the evening. “Paso” now boasts many of the best restaurants in the county. 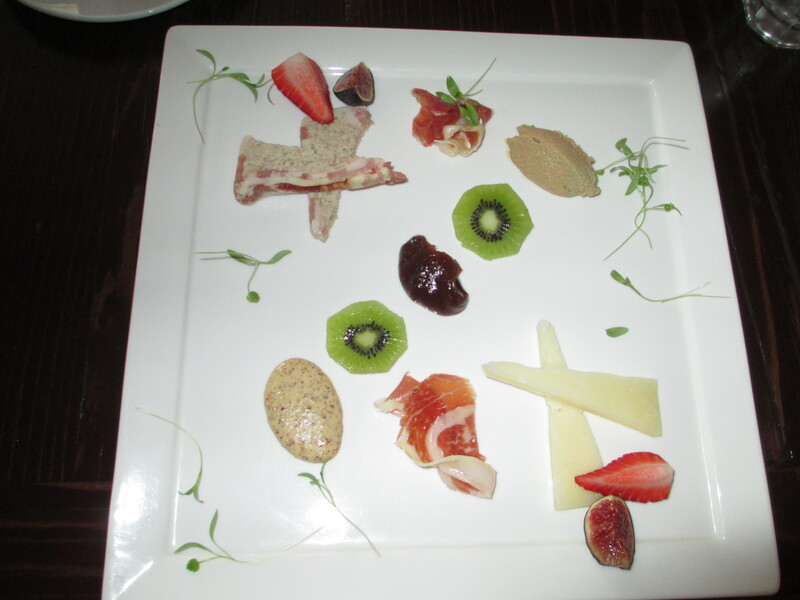 One of the newest, La Cosecha, (Spanish for harvest) Restaurant + Bar serves Spanish, Central and South American fare. This casual eatery has the feel of a casual, friendly ambience of a neighborhood watering hole. They are open daily for lunch and dinner, with options of indoor regular or tall table seating, a communal table for large parties, and outdoor patio seating. Some of the highlights are the braised bone marrow appetizer, Iberico ham with figs, Honduran-style empanadas, Black cod mofongo and the delectable paella of the day. The bar stocks Spanish sherries, food-inspired wines and beers, and has a dedicated mixologist who concocts seasonal craft cocktails such as the seasonal caipirinha made with Brazilian chaçaca, St. Germaine, limes and blueberries. 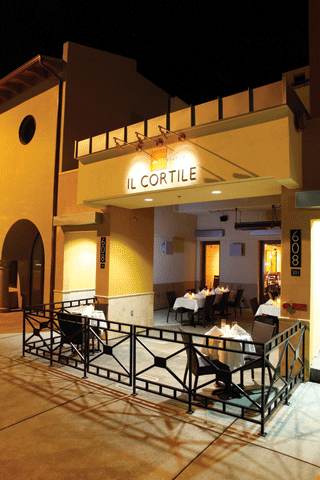 Honduran-born Chef Santos MacDonal and his welcoming wife, Carole, also own one of Paso’s other best eateries, Il Cortile Ristorante, which specializes in rustic Italian food in their upscale, but comfortable restaurant. Dinner specialties include such creative appetizers as grilled octopus, crostini porchetta, pan-roasted quail with prisciutto-filled tortellini, and a bountiful selection of mozzarella cheeses. Santos’ homemade pastas and, when available, pork osso bucco, are house favorites. Just a half block from the city park, they are open for dinner daily from 5:00 p.m.
Artisan serves locally-sourced, creative American Fare. Now open daily starting at 11 a.m., Artisan is now at their new location, a stylish modern building, just across from the city park. The Kobayashi brothers have added an outdoor dog-friendly seating area, a full bar with some new menu items such as pizza. Chef Chris has a knack for unique combinations that wow the palate such as duck confit salad, spinach, pt. reyes blue, smoked almonds, “fried egg;” abalone tostada, avocado, pork belly carnitas; hanger steak, asparagus, black trumpets, bacon tater tots; and Alaskan halibut, burnt flour orecchiette, peas, morels, green garlic. 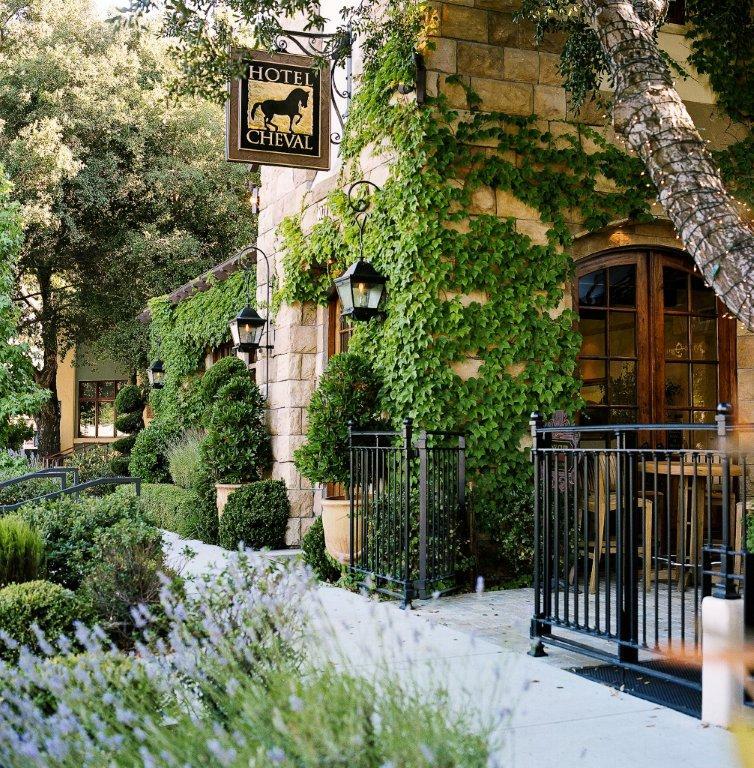 For a list of best restaurants in Paso Robles, including information about type of cuisine, which meals they are open, patios and whether those seats can be reserved, wine or full bar, family-friendly, and dog-friendly. Paso offers an array of live musical and entertainment venues that appeal to varied interests. D’Anbino Cellars, a short walk from downtown, is one of the premier musical venues in the county, attracting local and nationally-renowned musicians who perform varied styles including jazz, bluegrass, blues, rock, funk, soul, and Great American Songbook. Their website provides information about events which include both afternoon and evening entertainment. Presently, they offer salsa lessons Friday evenings from 6:30 to 7:30 p.m. with an opportunity afterward to practice new moves. During the warm months, the Pony Club, the wine bar in the Hotel Cheval, offers nightly solo or duo artists which start in the early evening on Friday and Saturday, and at 5:00 p.m. Sundays. Listen on the outdoor patio under the shade of the large shade tree. Other local bars offering live entertainment include The Pour House, Pappy McGregor’s, and The Cattleman’s Lounge in The Paso Robles Inn. All of these music venues offer snacks or full meals. Also, many of the Paso Robles area wineries feature live music, especially in the summer. Vina Robles Winery recently opened their 3300 seat “boutique amphitheatre” which attracts big name acts like the Moody Blues, Darius Rucker, Tony Bennett, B.B. King, and George Lopez. Festivals provide the perfect opportunity to experience local culture and food. The “First Saturdays: Wine and the Arts” occurs monthly from 5 to 8 p.m. They feature a wide array of art including mixed media, oil painting, jewelry, photography and quilting, with several wineries as participating venues. At the annual Olive Festival, this year on August 17, there are a number of entertaining activities for adults and children. 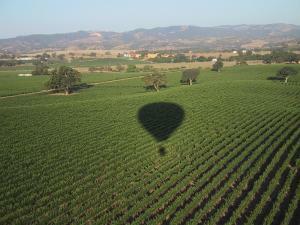 There are many other family friendly activities in Paso Robles, as well. One of the more popular festivals is the Classic Car Show Weekend, which occurs Labor Day week-end. It features members’ cars dating back to 1923 which are displayed at the car cruise and show. Starting Sunday September 29th at 3:00 p.m., The North SLO County Concert Association starts its 65th season, which will include 1930’s era vocalist diva Dawn Lambeth, a band featuring brass instruments, chamber music, and a vocal jazz quintet. The celebrated Harvest Wine Weekend, October 18-20, visitors can experience the grape harvest up close; summon your inner Lucy for grape-stomping or enjoy more leisurely tours of wineries, many of which offer fantastic winemaker dinners and/or live music. The Paderewski Festival, scheduled for November 7-10, honors Ignancy Jan Paderewski, composer, virtuoso pianist, humanitarian, orator, and the first Prime Minister of Independent Poland after World War I. He visited Paso Robles on many occasions between 1914 and 1939, and owned over 2800 acres where he planted Zinfandel grapes, almonds and fruit trees. The festival features a variety of concerts, a piano master class, documentary, youth competition winners’ recital, and lecture. Traveller beware: some festivals and events can be very crowded, so take that into account when making plans. The best downtown lodging is the 16 room European-inspired, boutique Hotel Cheval. The cozy rooms have plush towels, quality bedding and many other amenities. Welcome cookies, bedtime organic chocolates and breakfast are included. Options for rooms include fireplaces, outdoor patios, sundecks, and for dog owners, pet beds and food and water dishes. The inviting central outdoor patio has a fireplace that visitors can stoke. The historic Paso Robles Inn first opened in 1891 and is the only hotel in the area that still offers thermal hot springs in guest rooms. The comfortable rooms are family and dog-friendly. The outdoor area includes a large grassy area, Koi pond, brook and flower garden. Ask for the “locals rate.” Although not in downtown Paso, Tuscan-inspired La Bellasera Hotel and Suites has luxury suites which include fireplace, whirlpool and patios. The outdoor pool also has a fireside cabana. Spa services are available at all three hotels.